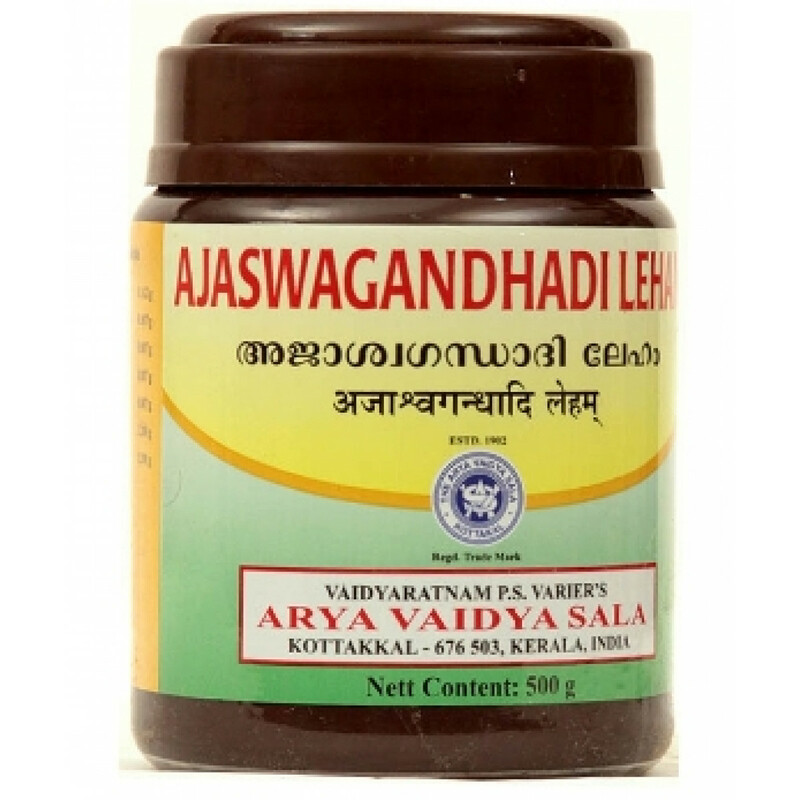 Ajaswagandhadi leham (Ajamamsa rasayana) is very famous medicine of Kerala school of Ayurveda. 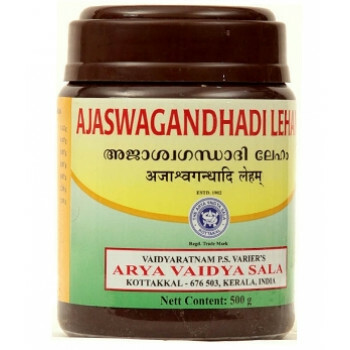 The main use of Ajashwagandhadi lehyam is to improve muscle strength for weak body due to long-term illness. Also, it is a very good tonic that energizes the entire body, restoring normal weight, increase stamina, improves the functioning of the nervous system. Indication: fatigue, powerful aphrodisiac, improves muscle strength, useful to relieve tiredness, quickens the recovery from tiredness after gym and exercise, restores and keeps optimum energy levels throughout the day. Content: Aswagandha, Ajamamsam, Sita, Atmaguptaphala, Madhuyashti, Salamamsiri, Tukakshiri, Trijata, Kosa, Lavanga, Kshaudra, Ghrita. Dosage: 1 tea spoonful twice a day or as directed by phisician. Original name: Ajaswagandhadi leham Arya Vaidya Sala. Synonyms: Ajamamsa rasayana, Ashwagandha rasayana. Caution! Ajaswagandhadi leham is not vegetarian medicine. In our store You can buy authentic Ajaswagandhadi leham at a bargain price!